Daily Debate: What Map Location Was Most Underserved in Breath of the Wild? Breath of the Wild blew fans away with its gargantuan map, its in-game world dwarfing those seen in past Zelda games. Exploring that world was definitely a ton of fun, as there were plenty locations to discover, characters to meet, and secrets to find. But despite the expansive nature of Breath of the Wild‘s map, there were a few locations that were criminally underserved. Hyrule was full places to visit and plenty of ruins to see, but in the end, there are some parts of the kingdom that deserved a bit more focus, significance, content, and care. I believe that the location most underserved in Breath of the Wild was the Coliseum. 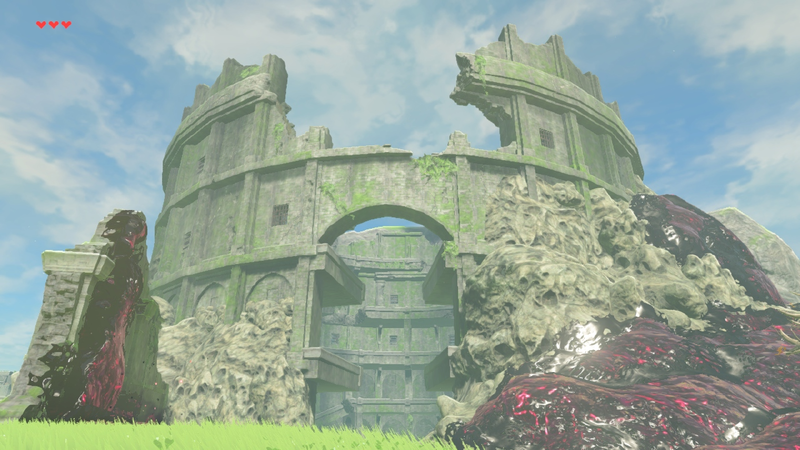 When I saw this ruined structure in the distance, I expected it to be something akin to dungeons of past Zelda games, perhaps even an optional gauntlet area like Twilight Princess‘ Cave of Ordeals. Approaching the arena seemed perilous, with pools of Malice surrounding the entrance, so I resolved to visit later on in my adventure. I spent hours building up the Coliseum in my head, forging unfounded expectations on a location I had barely seen. So, when I finally felt comfortable enough to enter its stone walls, I was admittedly disappointed in what I found. Now, I do still think that the Coliseum is a cool part of the game’s world, and I fully admit that I set my expectations too high in the first place, but I still wish the structure held more than a handful of tough enemies and some elemental weapons one could find anywhere. I would have wanted to the structure to house a more meaningful experience, perhaps narrative-driven side quest or a one-of-a-kind enemy encounter. There are plenty of other underserved areas in Breath‘s massive world. I could write plenty more paragraphs on the Akkala Citadel, the Deya Village Ruins, and Ludfo’s Bog, to name a few. What area or location in Breath of the Wild did you want to see fleshed out more? What places deserved more significance, content, or context? Share your answers with us, and join the Daily Debate!